I am an energetic, über passionate developer. I am a Google Developer Expert, Web Dev at WeaveUp and I have some Front-End and Angular courses on Code School. I love to learn new things and then share them with others. I Scuba Dive and have a toothless dog named 'Gummy'. My name is Alyssa, come talk sometime. It’s really fun to work with graphics when building apps and websites, but how do you get started? 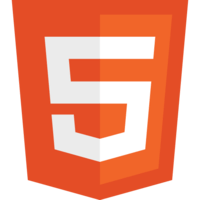 HTML5 has a technology called Canvas that lets us draw graphics to our screens. We can do everything from making basic shapes to creating complex interactive games and animations! In this course, we will learn the basics of using Canvas. We’ll start by learning how to create a canvas on an HTML page. Next we will learn how to draw and style with fills and strokes. Finally, we will add interactivity to canvas elements.